Anuj Puri, Chairman – ANAROCK Property Consultants Pvt. Ltd. The formation of Real Estate Investment Trusts (REITs) will help in the expansion of the quality real estate universe in India, besides giving developers another instrument to exit their projects. REITs would own real estate, and most of them are expected to have their shares listed on the stock market. These listings will provide retail investors a good and an entirely new opportunity to participate in real estate’s growth story in India. However, would an industry that has not been able to exploit its full investment potential so far be able to attract droves of retail investors? With REITs, the answer is yes. This instrument has the potential to attract institutional and retail investors alike because of its inherent nature to provide regular dividends at relatively low-risk levels. And why is that? One, because REITs in India will prefer to invest in commercial developments — specifically in the highest quality or Grade A properties — due to the higher rental yields in this asset class. Two, because only 20% of an Indian REIT’s monies can be invested in development, which is the riskiest end of the real estate industry. The remaining 80% of the fund’s assets must be invested in income-producing property. Since such projects are often office buildings or shopping malls, they have already been developed and have tenants, so their income stream is relatively easy to predict. As the value of these projects increases, REITs will hold them for a long term and not trade in and out of real estate. As for the yields, the rental yield in commercial asset class across the country is usually in the range of 8 to 11%. If the capital value appreciation for residential property is not taken into account and only the rental yields of both residential and commercial asset classes are compared, yields in the former stand much lower at 2 to 4%. In commercial developments, yields combined with capital value appreciation over the recent years have been better off than residential properties. REITs in India, like many others around the world, will be required to pay out 90% of their income from stable assets to investors. That will result in a twice-yearly dividend. In a scenario where the yield is barely 2 to 3% annually, the dividends that they pay out to their investors would remain negligible. That is why it hardly makes any sense for REITs to invest in the residential asset class in India. In Budget 2016, the Modi government removed a major hiccup in the path of a successful listing of REITs: the Dividend Distribution Tax (DDT). DDT was exempted on special purpose vehicles (SPVs). Rules for REITs were relaxed and the investment cap in under-construction projects was raised from 10% to 20%. SPVs are now allowed to have holdings in other SPV structures and the limit on the number of sponsors has also been removed. The first REIT listing is expected by June 2017. Well-known private equity funds such as Blackstone, Brookfield, Singapore’s GIC and the Canada Pension Plan Investment Board (CPPIB) are expected to be the first movers in this space. They are also the most likely to be successful in this endeavour, given the fact that they have a good portfolio of superior, Grade A office spaces in tier-I cities. A smooth ride after the first REIT listing will help retail investors become comfortable with this new investment avenue. However, it would be necessary to educate first-time investors about this platform, and sustained efforts to create awareness around REITs would be required. As REITs will be financial assets dealing in physical assets, challenges similar to the mutual fund industry can be expected – at least in the initial few years. The journey of mutual funds in India saw its own share of challenges, which come bundled with any new investment opportunity. Today, buying or selling of shares and units of mutual funds is just a few clicks away, but it took various investor awareness initiatives and sustained efforts before dealing with these financial assets online became a success story. 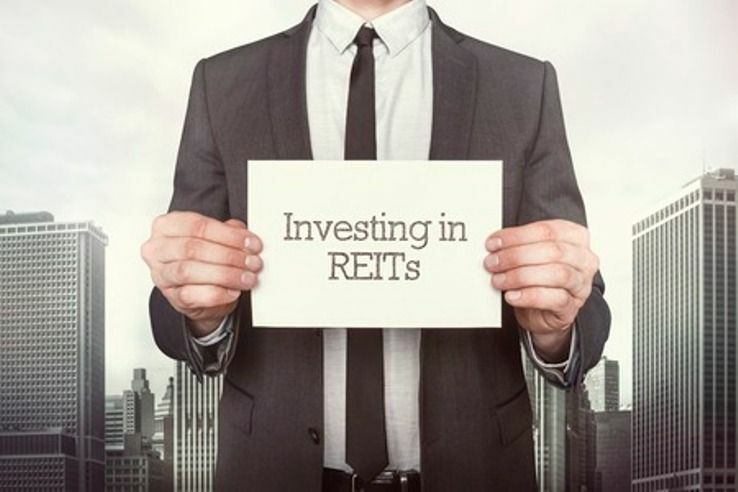 Retail investors are nonetheless excited at the new and easier real estate investment opportunity that REITs would open up for them. Clarity on how big or small the ticket sizes turn out to be for them would emerge only after the first two or three REITs have been listed. The REIT potential in India is huge. Currently, around 229 million sq. ft of office space is REIT-compliant. Even if 50% of this space were to get listed in the next few years, we are looking at a total REIT listing worth $18.5 billion. Moreover, as India’s stock of Grade A commercial assets grows, it presents great opportunities for REITs – and for their potential retail investors. How Will GST Impact The Indian Real Estate Sector?